Bringing Families Together to Build Strong Futures. 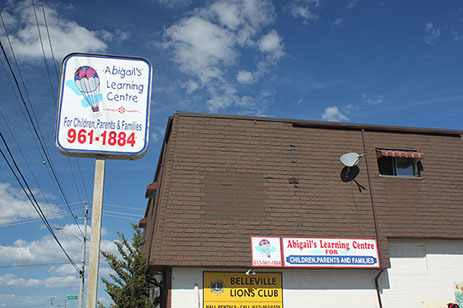 Abigail’s was created by Dr. Harold Goldsman who understood families are the very best investment a community can make. This multi-service agency is named after Dr. Goldsman’s grand-daughter, Abigail, reflecting his great love for families in this community. Abigail’s helps to support parents to build sustainable livelihood skills to benefit the whole family. We assist parents with meeting their individual, education, and parenting goals, and add to a collection of learning practices and materials. Abigail’s works with many partnering agencies in order to provide self-advocacy opportunities and build additional support networks for the entire family. We work together in support of families reaching their greatest potential. Say 'hello' to a new us very soon!